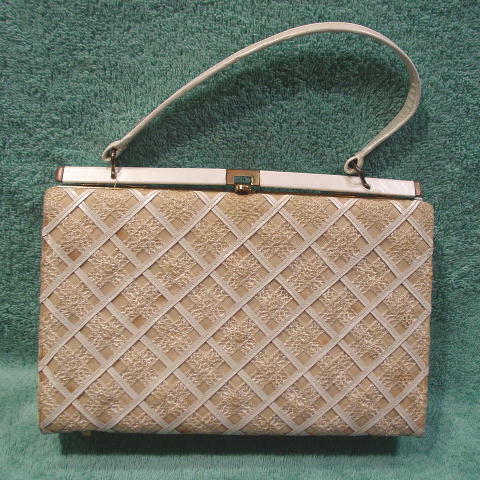 This vintage handbag is by Stylecraft and was made in Miami. 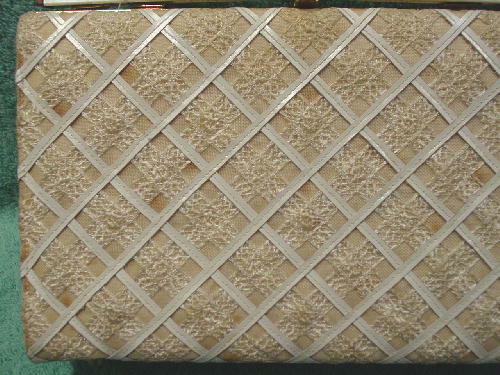 The front exterior has a fabric, lace, and faux leather trim in a diamond pattern. The back and sides are in the faux light bone leather. The sheer fabric is in a light sand color and the lace is in a sandy-bone color. There are some dark areas within the various triangles. It has a 12" long by 1/2" wide strap. The bottom has four little brass-tone feet. The black interior fabric is ridged. 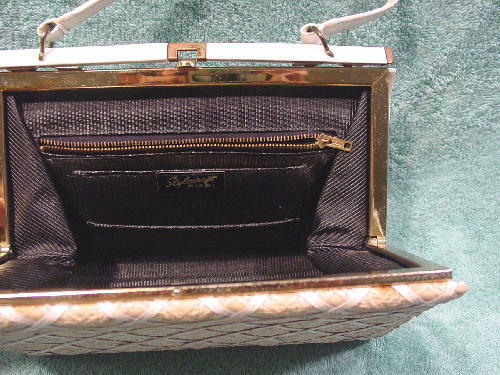 It has a faux zipper interior pocket - the zipper opens and closes, but there is no pocket or opening. 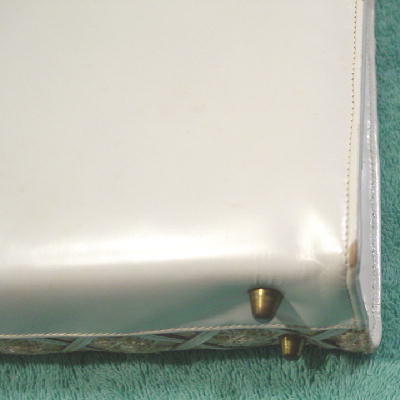 Below and in front of the zippered area are two open pockets. 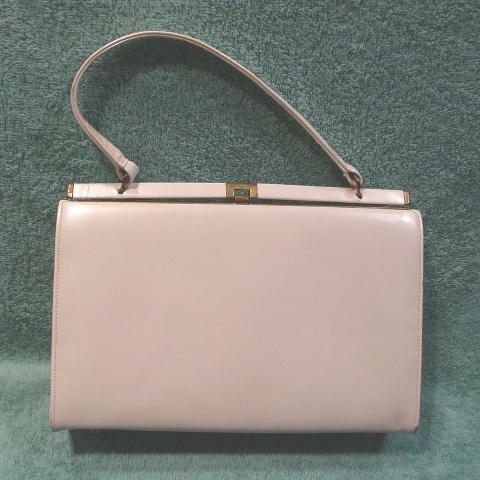 The top has a tarnished rim and pull-upward clasp to open. The back bottom edges have some of the faux leather missing. The upper left side and top right side near the closure each have a grayish pencil point dot.